Think Smart Specializes in helping struggling students from primary through college achieve their potential within months rather than years. Why is Think Smart Center so successful within only months, when other centers charge fees year after year and the same struggle continues? 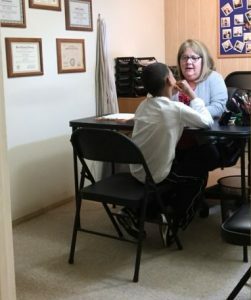 Standard tutoring attempts to re-teach academic areas that were not successfully learned.This doesn’t work for students with weak learning skills. It becomes more and more of the same thing that isn’t working and results in frustration for everyone. Our research based programs increases the ability for a student to learn quickly, easily, and to retain what is learned. What are these cognitive skills required for proficient learning and how can they affect your child? These cognitive (or mental) skills are critical for success in reading, math, and learning in general. 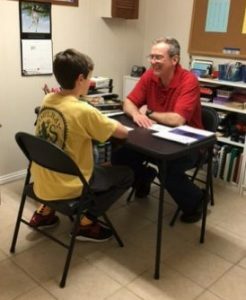 At Think Smart Center, we as highly specialized private tutors can actually train and strengthen the cognitive, learning skills so that the student experiences permanent and continued success. How can these cognitive skills be corrected? Think Smart Center is based on the scientific evidence that learning skills can be improved and can be strengthened permanently by the use of specifically designed and targeted exercises tailored to the child’s individual needs. We improve cognitive abilities such as memory, attention, sensory processing, and reasoning. This strengthens the individual learning skills allowing the student to learn more efficiently. When learning is more efficient, it is easier, quicker, and more enjoyable. Our goal is to create a stronger, more confident, independent learner. The results are permanent, powerful, and life changing.